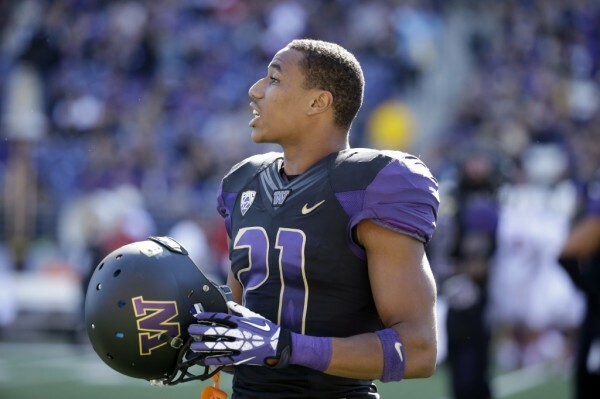 Marcus Peters has all the attributes to be a starting corner at the next level as he was very productive at Washington. The best part of his game is his great quickness and change of direction to stick with wide receivers. Along with his quickness he also displays very good ball skills and routinely knocks the ball down or intercepts it. He finished with 11 INTs over his Washington career. Peters plays with good physicality and has good size for a corner. There are plenty of character concerns with Peters however. Marcus Peters was kicked off the Washington football halfway through the season after multiple problems with the coaches. Peters has all the talent to be a starting corner at the next level, it is just a question of character and whether he can keep his act together.